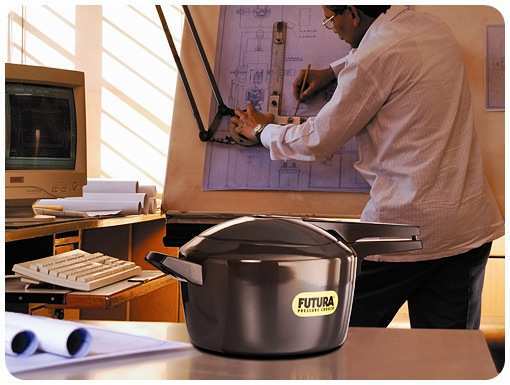 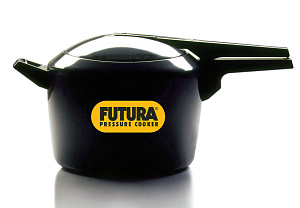 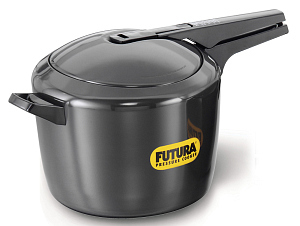 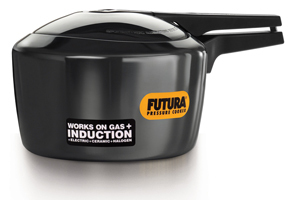 A beautiful combination of form and function, Futura is the only pressure cooker in the world to have been displayed by The Museum of Modern Art, New York. 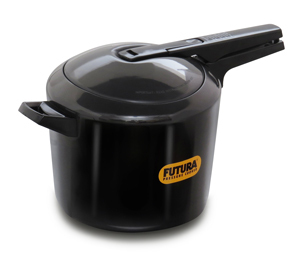  The beautiful, durable black finish given by 60 micron thick hard anodising has two benefits. 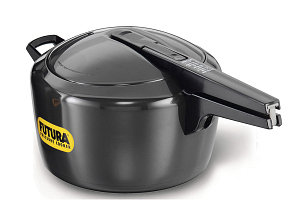 It makes the pressure cooker absorb heat faster making it more energy-efficient. 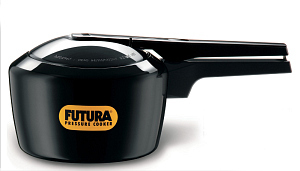 And the pressure cooker stays looking new for years. 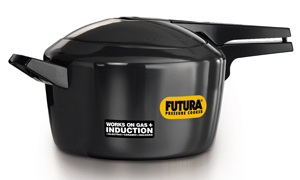 The unique pressure regulating system gives you the convenience of finger-tip pressure release and prevents clogging of the steam vent. 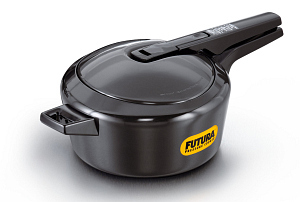 The double-thick base stays flat, heats evenly and is ideal for light frying before pressure cooking. 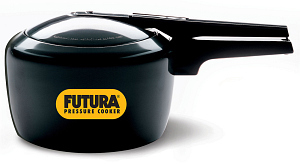 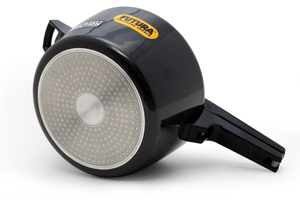 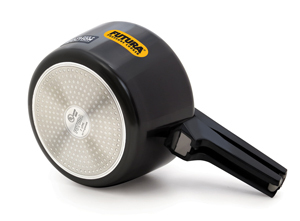 Suitable for gas, electric, ceramic and halogen cooktops.